The Mosfell Archaeological Project is an interdisciplinary research project employing the tools of history, archaeology, anthropology, forensics, environmental sciences, and saga studies. The work will construct a picture of human habitation and environmental change in the region of Mosfell in southwestern Iceland. The Mosfell Valley (Mosfellsdalur), the surrounding highlands, and the lowland coastal areas are a Avalley system, that is, as an interlocking series of natural and man-made pieces, that beginning in the ninth-century settlement or landnám period developed into a functioning Viking Age, Icelandic community. Focusing on this valley system, our task is to unearth the prehistory and early history of the Mosfell region. We seek the data to provide an in-depth understanding of how this countryside or sveit evolved from its earliest origins. The Mosfell Archaeological Project has implications for the larger study of Viking Age and later medieval Iceland, as well as perhaps for the north Atlantic world. Mosfellssveit encapsulates the major ecologies of Iceland: coastal, riverine, and highland. Culturally, the region is equally representative. In some ways it was a self-contained social and economic unit. In other ways, it was connected to the rest of Iceland, not least, through a network of roads, including an east-west route to the nearby meeting of the yearly Althing. With its coastal port at Leiruvogur, the region was in commercial and cultural contact with the larger Scandinavian and European worlds, possibly as far east as Constantinople. The research, in reconstructing the early social history of the Mosfell Valley region, will integrate information on the changing periods of occupation. We will excavate individual sites, both secular and religious, and consider their placement in relationship to one another. We will examine the apportionment of open spaces and the utilization of common lands in the highlands and on the coast. Written, archaeological, and other scientific information will be integrated into this study as we construct a picture of early life. The different specialists on our team will explore among other subjects the development of roads and paths, the importance of the ships landings at Leiruvogur, the changes over time in subsistence strategies, the state of health and disease in the Viking Age and later population, developments in building technics, and the usage of smaller activity areas, such as the sel, or summer dairy stations. Crucial questions will be the production of iron in the early period, and finding the locations of burials, and early farm sites. In some instances our task is to find the remains of turf buildings, roads, burials, agricultural enclosures, and port facilities before they are destroyed by modern construction or lost to human memory. The work of the Ahmanson grant was the initial stage of a pilot project, a new aspect of the Mosfell Archaeological Project’s (MAP) coastal and hinterland archaeology in Iceland’s Mosfell Valley. 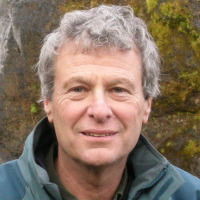 The Cotsen’s MAP project is directed by Prof. Jesse Byock, and is undertaken in a challenging North Atlantic environment. This Ahmanson aspect of the larger MAP project is one of survey over a considerable area. The Ahamanson grant was employed to consider land-usage during the Viking Age of the coastal mouth region of the Mosfell Valley. This multi-year survey is the basis for a coming new excavation project, which will, we estimate, lead to discovery of significant additional indications a major Viking Age harbor on Iceland’s southwestern coastline. The remains we are hoping to pinpoint are surely one of Iceland’s major high-seas ports during the Viking Age. The goals of this multi-year survey/fieldwork are: 1) to begin the determination of the Viking Age coastline in the year AD 900; 2) to distinguish the extent of the inner lagoon, the site of the inner harbor; 3) to locate the best areas to search for the ancient beach layer within the lagoon; 4) to search for the most applicable sites to find archaeological remains in the harbor area; 5) to investigate a potentially man-made mound, quite possibly a Viking Age burial mound. The background to the survey has already involved considerable research. Through archival work, we have located and now employ historical maps going back to the 17th century, aerial photographs beginning in the 1940s archived as part of the British and then American military occupation of Iceland in 1940-41, and textual accounts in Old Norse manuscripts from the medieval to the early modern period. The later are extraordinary sources for the harbor in the medieval period. In summary, the project is to pinpoint areas of high archaeological potential. The work is logistically challenging, as the area floods during the semi-diurnal high tide. Figure 1.Leiruvogur and Faxaflói, Southwest Iceland. Faxaflói Bay on the west coast of Iceland is a large open body of water subject to the full force of the North Atlantic. Leiruvogur Bay at the eastern inner reaches of Faxaflóí Bay is a small bay protected from storms by a series of islands and nesses. Hrísbrú, the Viking Age farmstead of the Mosfell chieftains, sits 2 kilometers inland at the entrance to the Mosfell Valley. The chieftain’s longhouse at Hrísbrú was built early in Iceland’s Landnám or Settlement Period and overlooks Leiruvogur Bay. From this highly defensible site on the slopes of Mosfell Mountain, the Mosfell chieftains controlled and administered Leiruvogur Harbor. The Hrísbrú site offered an unobstructed seaward line of sight. From the front door of the excavated longhouse, one sees all of Leiruvogur Bay and far out into Faxaflói Bay, a setting which provided early notice/warning of incoming ships. From Hrísbrú one also sees almost all of the Nesses, the coastal area extending westwards past present-day Reykjavík. – (Jesse Byock, Mosfell Archaeological Project).